Our leadership team brings rich experience and and deep commitment to their roles within the company. Every day, their vision guides our path to future success. With almost 30 years of experience in Lithography, Bill Waters is a seasoned leader as Director of Lithographic Operations. 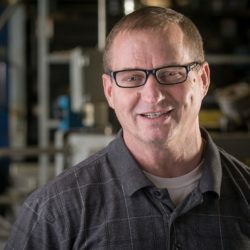 Holding a degree in Industrial Engineering from Northwest State Community College and being a Certified Quality Technician through ASQC (American Society for Quality Control), Bill started his journey with Ohio Art in 1988 in the Lithography Quality Department. Soon after, Bill moved to the production side of Litho Operations and has been guiding his team toward continued excellence, ever since. Beginning his tenure at Ohio Art almost 25 years ago, Jim has had a well –rounded career at Ohio Art. Originally starting in the Machinist Shop, he took over as the Preventive Maintenance and Projects Coordinator. Jim assisted with the initial ISO 9001-1994 Certification by creating, and implementing the machine maintenance DM/PM program as well as ensuring OSHA and EPA compliance for the company. Moving into manufacturing operations as the Corporate Quality Manager, he implemented the current Quality Management System. 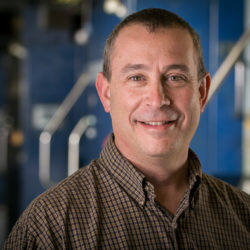 Now serving as the Director of Manufacturing and Quality Systems Operations, Jim’s role with Quality Assurance continues, and his role has expanded to include steering the re-birth of the metal manufacturing division. 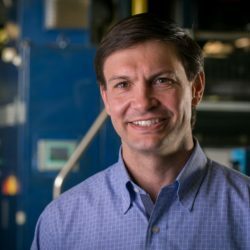 Along with a background in EPA regulations, OSHA compliance, ISO 9001 requirements, and process control, Jim has completed the Manufacturing Executive Program at the University of Virginia Darden School of Business. As president of The Ohio Art Company, Martin helps lead the company’s strategic vision in order to develop new product features and business segments. Martin holds a B.B.A degree in marketing from the University of Georgia and an MBA from Auburn University. Before joining Ohio Art, he held several marketing positions, including account manager at the advertising agency Lou Beres & Associates. Elena brings more than 25 years of sales, marketing, and product development experience to her role as CEO of The Ohio Art Company. Before joining Ohio Art, Elena held the position of senior vice president of marketing at Robert Half International. Her global responsibilities included marketing and branding for Robert Half’s seven business units and supporting 13,000 employees across 400+ locations in 20 countries. 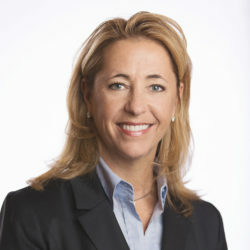 Her experience and leadership skills were honed during her appointment as director of marketing for LeapFrog in 1999 and as director of marketing at Ohio Art in 1995. West graduated from The Ohio State University with a Bachelor of Arts degree in English and has completed executive education courses at the University of Virginia Darden School of Business.